Macworld has announced the winners of the Macworld Best of Show Awards at the Seybold San Francisco 2001 tradeshow. The six winners represent some of the most interesting, innovative, and buzz-worthy Macintosh products and technologies on display this week at the venerable publishing-industry trade show and conference. To be eligible for Best of Show consideration, products were either making their public debut at Seybold San Francisco 2001 or were recently introduced and likely to generate excitement on the show floor. The Macworld editors had to see the products in action, although some evaluations were based on beta versions or prototypes. "Macworld Best of Show Awards" represent a highly coveted honour within the Macintosh industry, and are presented exclusively at the twice-yearly expo. Adobe Systems’ InDesign 2.0 This week was the official coming-out party for this professional page-layout application. InDesign gets points for an OS X-friendly architecture, the ability to add editable transparency effects, and the ability to import Photoshop and Illustrator files with transparency preserved. 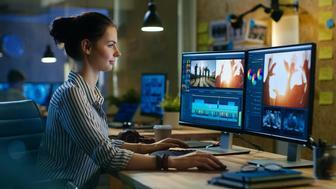 Adobe Systems’ XMP A technology based on XML's Rich Data Format, XMP is an open standard that's been created for designers and creative professionals. The technology is being integrated into Acrobat 5, Illustrator 10 and InDesign 2.0. Apple Computer’s AppleScript Studio Due later this year, AppleScript Studio is a professional development environment that lets AppleScript jocks build Mac OS X-native Cocoa applications using just AppleScript. Electronics for Imaging’s EBeam Whiteboard-using Mac users will welcome eBeam , a $599 device that captures whiteboard content on the Mac. It works using two pods that attach to the white board, along with sleeves that go on your dry-erase markers. Hewlett-Packard’s DesignJet 10ps A comping and proofing printer that sports a top resolution of 2,400-x-1,200 dpi, HP’s new DesignJet 10ps has a maximum print size of 13-x-9 inches, six individual ink tanks, and a software-based PostScript 3 RIP, all at a list price of £708. 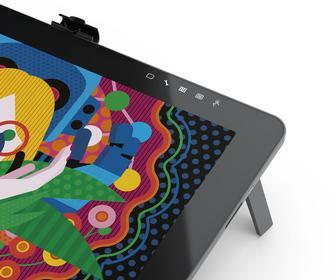 Wacom Technology’s Cintiq 15x The Cintiq 15x is a 15-inch active-matrix colour LCD display mated to stylus tablet. The £1,195 system works with a 1,024-x-768-pixel resolution, and has a high-contrast output with an 80-degree viewing angle.